Animals have the ability to give us many surprises, although they do not share the same language, their attitudes and expressions allow us to understand them perfectly. 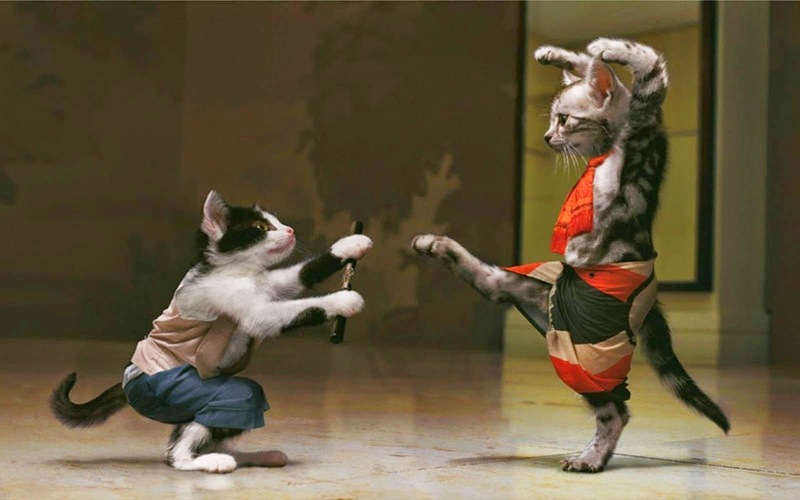 Below we present an interesting selection of funny pictures, photos and images of cats in different situation and places, that I'm sure you will enjoy and smile, remember that you can share the images you like more with all the people who also want to have a good time. 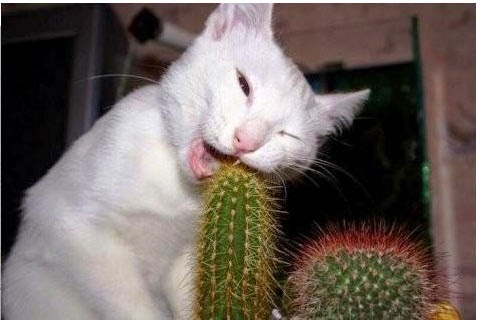 A funny photo with a cat trying to "eat" a cactus. 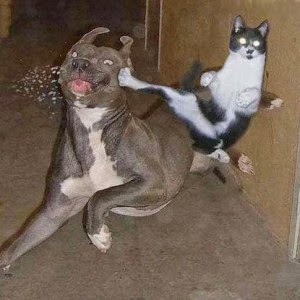 This cat waited for the right time for his revenge. 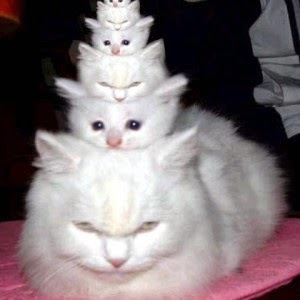 If the picture of a cat can be cute and fun, imagine a pyramid formed by a group of them. 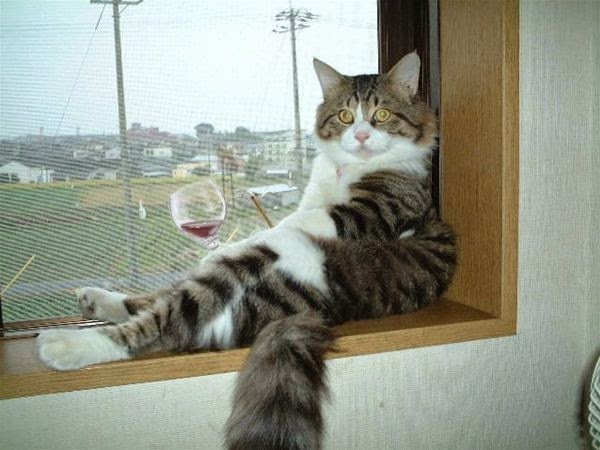 This cat knows how to enjoy the pleasures of life, sitting on the window and holding a glass of wine. The question is? 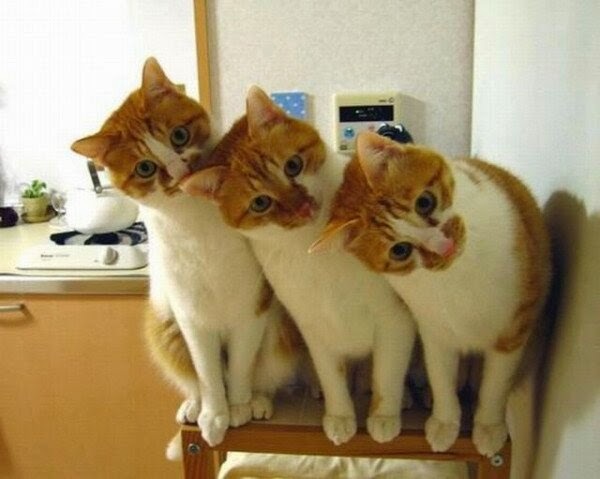 Didn't you have the temptation and turned the head? 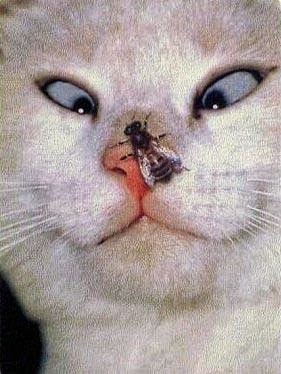 A funny photo with a cat watching a fly on his nose. 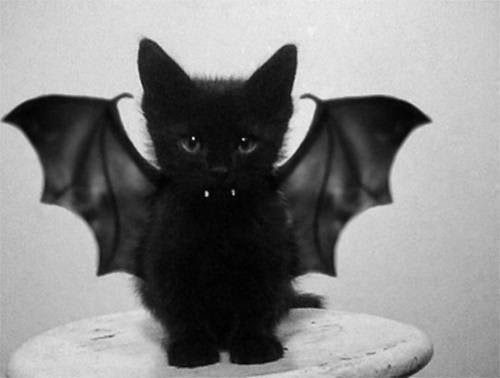 I'd never seen a vampire cat as tender as this. 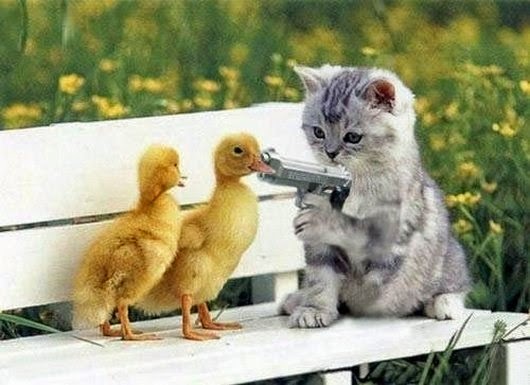 Better that these little ducklings raise their hands ... or wings at this time, because the kitten is ready to shoot. 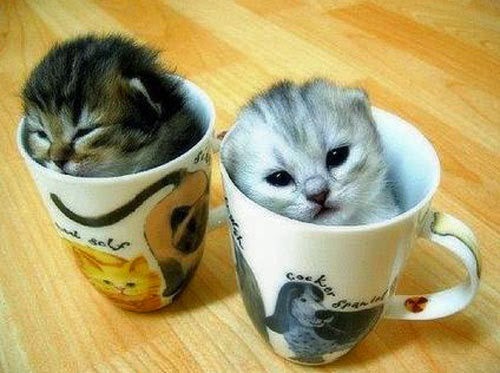 Would you like a cup of ... kitten? 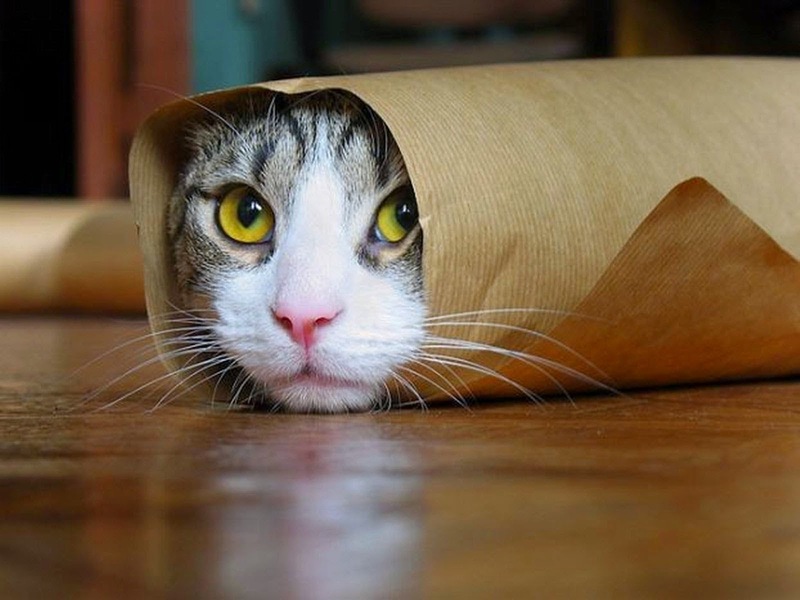 A funny image of a cat completely wrapped in paper. 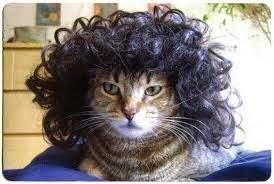 Surely this cat wanted to change his look and I think he is succeeded.